Go Pure Naturals recently offered me an opportunity to try their Youth Glow Eye Gel. GoPure offers natural products that are formulated to be effective yet gentle. 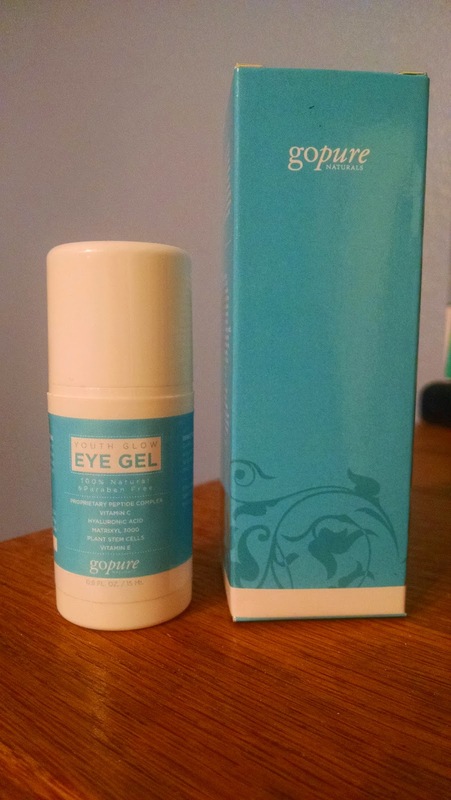 This eye gel is 100% natural and paraben free, two traits I look for in any skin care products. Paraben free products avoid any concern about potential hormone disruptors from paraben preservatives. As such, truly natural products, like GoPure, have an expiration date. This product has its manufacturing date on the box and a shelf life of two years. GoPure Naturals’s Youth Glow Eye Gel smells like cucumber and goes on light and non-greasy. It absorbs quickly so I can apply makeup shortly after using it. The gel includes vitamins E and C for moisture and brightening, a proprietary peptide complex and matrixyl 3000 to smooth fine lines, hyaluronic acid for plumping, and plant stem cells which may have anti-aging properties. Plus, its not tested on animals and made in the USA. 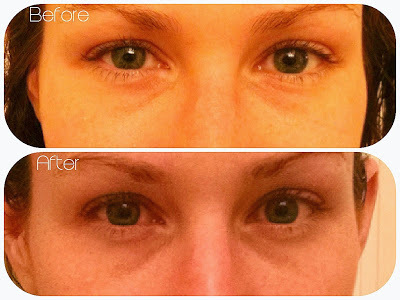 I used the eye gel for 3 weeks and liked using it, but I didn’t see any real change. I have dark circles under my eyes to begin with and I didn’t see any change in my dark circles, but it did moisturize my under eye area and made me feel refreshed. It also helped de-puff on days that I woke up with puffy eyes. I particularly liked the gel consistency and cucumber scent for it’s energizing properties. The color is a bit off in the before and after photos I took but you get the idea. Overall, I liked the product as a general use eye gel. It didn’t make a change on my dark circles but helped with my puffiness and moisturized as well. The cool thing about this product is that GoPure Naturals will offer a 100% guarantee that your eyes will look ten years younger after two months of continuous use or they will give you your money back. Can’t go wrong there! 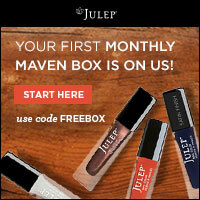 Plus, if you sign up for GoPure Natural’s email newsletter you can get a $10 coupon. Happy shopping!